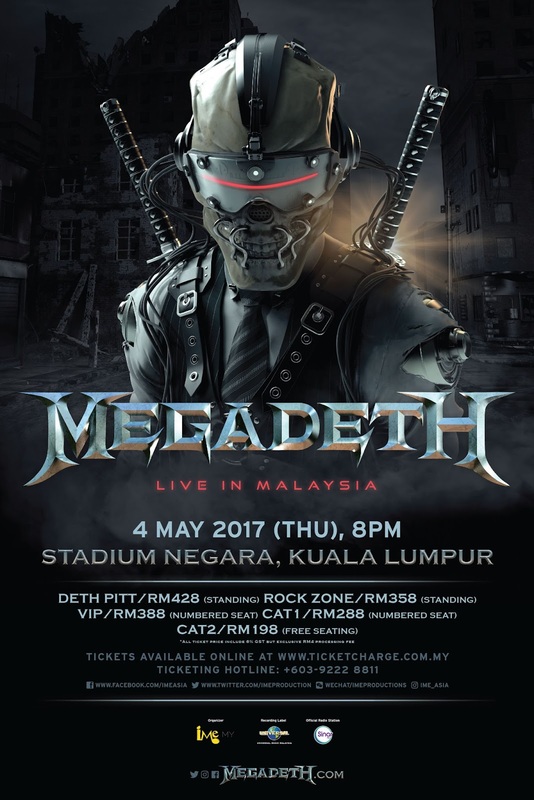 Kuala Lumpur, February 2017 – Megadeth, one of the world’s top heavy metal bands credited with popularizing the genre, is finally coming to Malaysia! 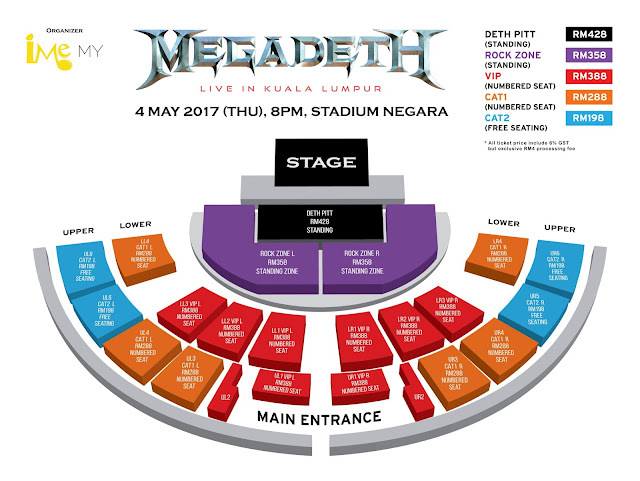 Organised by IME Malaysia, Megadeth will be debuting their performance in Kuala Lumpur at Stadium Negara on Thursday, 4th May 2017 at 8pm. 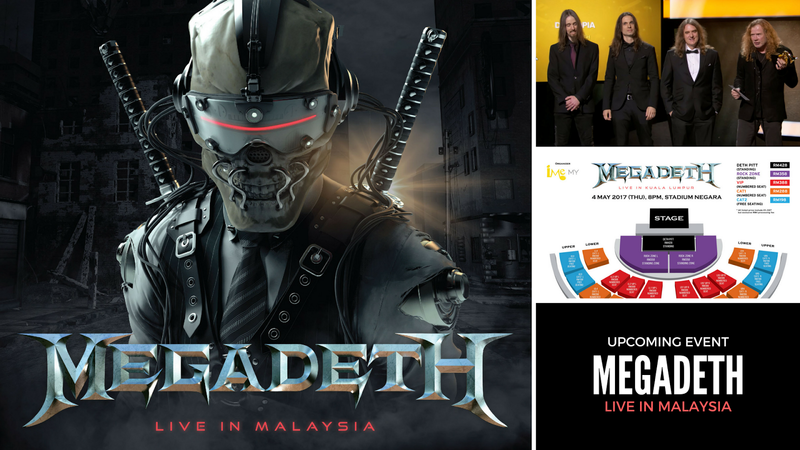 “Kuala Lumpur is somewhere I've always wanted to hit when we've been trekking through Asia,” quoted by co-founder and front man Dave Mustaine in a recent interview..“They're going to let us bring our brand of metal music, it's really rewarding,” he added. 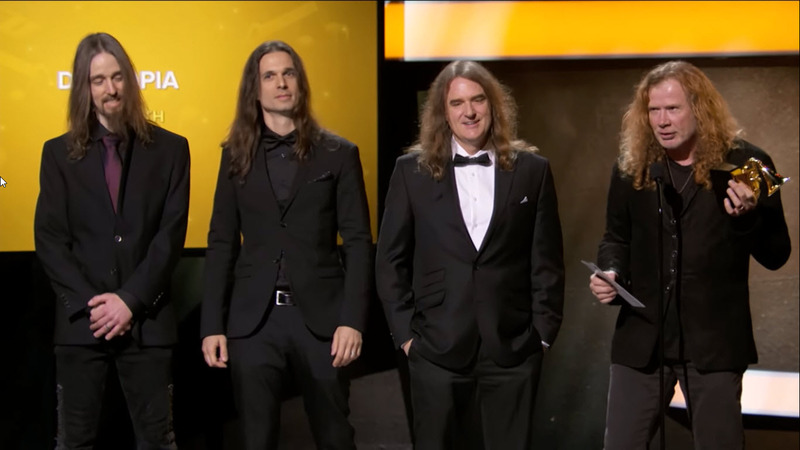 The album earned a Grammy win for Best Metal Performance of 2017. With 49,000 units sold in its first week of release, Dystopia took the no. 3 spot on the Billboard Top 200 chart alongside Adele and Justin Bieber. It’s the highest charting album for the band since 1992’s Countdown to Extinction which peaked at No. 2 on the chart. Dystopia was listed as one of the 20 Best Metal Albums of 2016 by Rolling Stone magazine. Tickets to Megadeth Live in Malaysia are priced at RM428 (Deth Pitt Zone, Free Standing), RM388 (VIP, Numbered Seat), RM358 (Rock Zone, Free Standing), RM288 (CAT1, Numbered Seat) and RM198 (CAT2, Free Seating). Tickets are available via TicketCharge online at www.ticketcharge.com.my or the hotline +603-92228811 starting from 10th February 2017, 11:00am onwards.